FAR Eastern University faces a tough task making it back to the UAAP women's volleyball finals this season, but don't tell that to coach George Pascua. The Lady Tamaraws begin life without top hitter Bernadeth Pons when they take on the rookie laden-National University Lady Bulldogs on opening day this Saturday at the Arena in San Juan City. The hard-hitting Pons is not the only key player gone from an FEU team that reached the UAAP finals for the first time in a decade before falling in two games to the La Salle Lady Spikers. Also gone from that overachieving team are opposite spiker Toni Rose Bases due to shoulder injury and libero Kyla Atienza, who graduated last year. 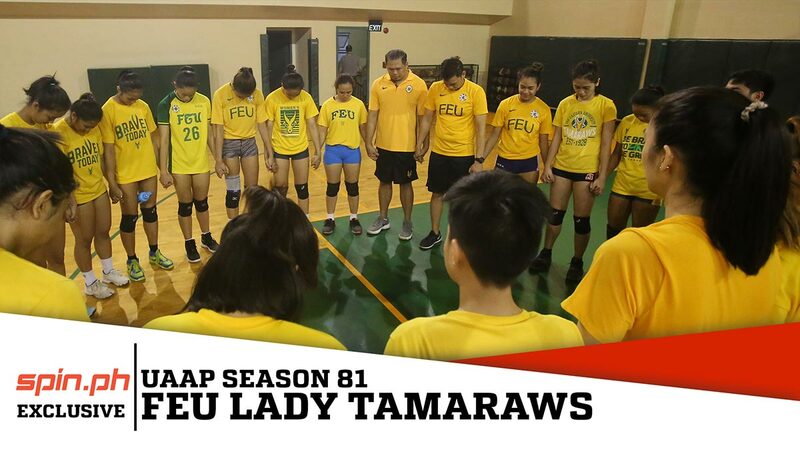 Previews on the Lady Tamaraws are mixed, but FEU head coach Pascua still believes the Lady Tamaraws are not only capable of reaching the finals but can also go all the way. “Nanggaling na kami sa finals, siyempre next step is to get the championship trophy,” said a defiant Pascua ahead of his second season with the Lady Tamaraws. Pascua is banking on a talented group of holdovers led by graduating players Jerilli Malabanan, Heather Guino-o and Kyle Negrito to keep the fire burning for the Lady Tamaraws. “Yung confidence ko sa kanila mataas naman,” said Pascua, who is also counting on prized recruit Lycha Ebon and seniors Celine Domingo, Jeanette Villareal and Buding Duremdes. Team captain Malabanan said FEU has an edge over the other teams in terms of experience, thanks to the holdovers' exposure in last year's finals. But for them to succeed, the Lady Tamaraws will have to develop a stronger character, she added. “I think our training is really focused on building character. Like coach said, we already have the skills so he’s more focused on building our character,” the outside hitter said. FEU’s lack of killer instinct was exposed during the preseason as it blew a lead against University of the Philippines in the Premier Volleyball League Collegiate Conference and lost in three sets to University of the East in the bronze-medal match of the Philippine Superliga Grand Slam. There's no question that Pons’ scoring prowess, libero-like numbers and great leadership as well as Basas’ offense and Atienza’s floor defense won’t be easy to fill in. How the Lady Tamaraws can overcome that will be interesting to see.